Marissa Mayer Is a Bad Choice for Yahoo! 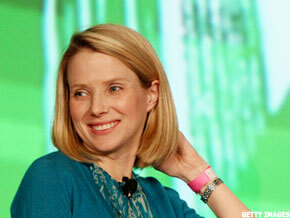 Ex-Google Marissa Mayer is becoming the new CEO of Yahoo!. This is a bad choice. NEW YORK ( TheStreet) -- Yahoo ( YHOO has named ex- Google ( GOOG - Get Report) executive Marissa Mayer as its new CEO. In my opinion, this is a bad idea despite the initial rise in the share price in after-hours trading. Mayer, 37, has never had any experience running a company, much less one as troubled as Yahoo!. While considered a top engineering talent and a public face of Google, Mayer's talents are different than what Yahoo! needs. Yahoo! was (is? who knows anymore?) trying to turn itself into a media company following the departure of former CEO Scott Thompson, who tried to turn the company into a data mining and commerce company. If Yahoo! wants to be a media company, interim CEO Ross Levinsohn had the track record and would have been the perfect candidate for the job. This is very similar to when Tim Armstrong left Google to become CEO at AOL ( AOL in March 2009. Since that time, AOL shares have gained roughly 25%, under-performing the S&P 500. Mayer reportedly announced her resignation Google by phone, not exactly the sign of a leader. In addition, she was passed over at Google for local efforts, which might make some question whether she has the requisite experience to run a $19 billion publicly traded company. First and foremost, she will have to come up with a plan for what Yahoo! really is. According to The New York Times, Mayer wants to leverage the company's strong franchises. Others have tried this and failed. Can the appointment of Mayer really make that much of a difference? I wish Ms. Mayer the best in her new appointment, but I can't help but feel that this is another in a long line of mistakes from Sunnyvale, Calif. Time will tell. Yahoo! shares closed Monday, down 0.60% to $15.65. In after-hours trading, shares are up 1.18% to $15.83, according to Nasdaq.com on more than 2 million shares. Interested in more on Yahoo!? See TheStreet Ratings' report card for this stock.